The NDP has postponed its winter caucus meeting to free up MPs to help leader Jagmeet SIngh campaign in the Burnaby South byelection, CBC News has learned. The party retreat, traditionally held before the resumption of Parliament in late January, will instead be held in March or early April, a party official told CBC News. It is customary for the three main parties to gather ahead of each parliamentary sitting to plan strategy. The Liberals are holding their caucus meeting in Ottawa Jan. 20-21, and the Conservatives will hold their own the weekend before Parliament resumes sitting. It will also be held in Ottawa. The meetings are seen as particularly important this time around as parties are trying to fine tune their strategies and focus their message for this election year. But the NDP has a more imminent concern: getting its leader into the House of Commons. Singh is running in a byelection to fill the vacant Burnaby South seat in B.C., one of three byelections called by Prime Minister Justin Trudeau earlier this month. Singh has been without a seat since he was elected leader in October 2017. 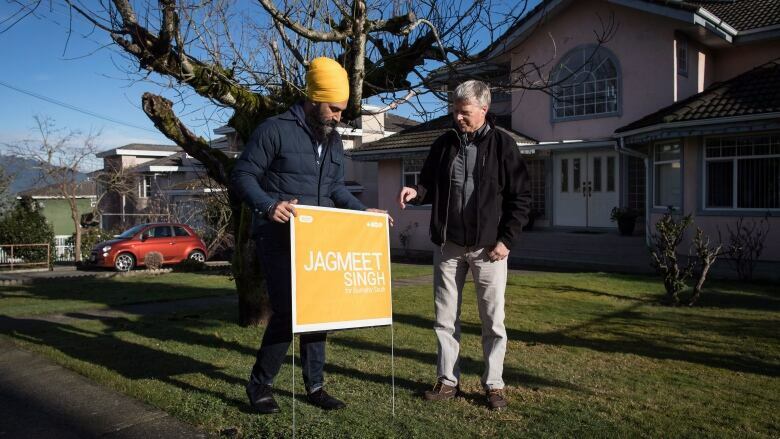 "Since (Singh) is focusing on his byelection in Burnaby South, and some MPs are focusing on helping our candidates in the three by-elections throughout the country, we have postponed our strategic discussions to the next few weeks," said NDP caucus chair Matthew Dubé. As another NDP MP put it, "is time better spent here (Ottawa) for a couple of days gazing into the next eight months or on the doorsteps over the next two weeks." "Most, if not all, of the B.C. caucus and others will be going out to help out Jagmeet," the MP said. "All of this hinges on what happens in Burnaby." At the outset, it looked like Singh would have an uphill climb in Burnaby South. A poll in the fall put the NDP in third place in the riding. But a new survey published Tuesday by the same polling firm found Singh ahead of the Liberal and Conservative candidates. Still, Singh shouldn't take anything for granted. Riding-level polling, particularly in byelections and in diverse ridings like Burnaby South, has a mixed track record. Prime Minister Justin Trudeau has also called byelections for the Ontario riding of York-Simcoe and Montreal's Outremont, which was vacated in the summer by Singh's predecessor, Tom Mulcair. The byelections will be held Feb. 25. This story has been updated from a previous version that said the Liberal caucus meeting would be held Jan. 26-27. In fact, it will be held Jan. 20-21 in Ottawa.